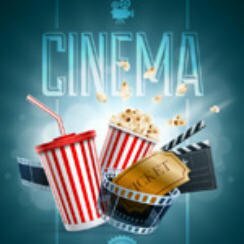 Home » US Cinema Charts April 6 2018 A Quiet Place? It’s that time of the week when we take a quick look at the latest top 10 box office movies and find out which movies are hot. There’s another change at the top of the movie charts but which of this week’s new entries has claimed the number one spot maybe the horror A Quiet Place? Let’s find out, these are the figures for US Cinema Charts April 6 2018. There are three new movies inside this week’s top 10 box office movies with Paramount Pictures new horror film A Quiet Place entering at number one with box office takings of over $50.2 million. That means that Ready Player One drops to two. There is also a new entry at three with the comedy Blockers taking over $20.5 million at the box office. Black Panther is still doing good business taking $8.7 million. The week’s one other new entry Chappaquiddick lands at seven with takings of $5.7 million. Isle of Dogs is at ten but could climb the chart next week as it expands into more movie theatres later this week. Tomb Raider drops seven places to number fourteen taking just over $1.9 million.